A Sacramento motorcycle major injury happened along the Capital City Freeway on November 20 in a crash that occurred shortly after nightfall. 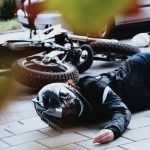 The accident involved one vehicle and a motorcycle rider in the number one lane, which necessitated a detour of traffic for a little over 30 minutes while the injured person was transported to a local hospital. According to the California Highway Patrol (CHP), the accident occurred in the southbound lanes. The collision occurred at around 5:20 in the evening just north of the East El Camino off-ramp in North Sacramento. An unidentified white sedan was left blocking the number one lane along with the rider, who was thrown from the bike. A tow truck was called to remove at least one of the vehicles. The road was reopened shortly after 6:00 p.m. The injured rider has not yet been identified by authorities, and it is unknown which hospital that person was transported to for further evaluation and treatment. Distracted driving: Far too many motorists are distracted by talking or texting on a cell phone while driving, changing a radio station or simply talking with passengers. 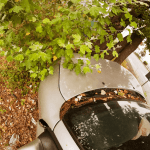 Because multitasking draws the driver’s eyes from the road, even for only a few seconds, it can end up causing a collision and a Sacramento motorcycle major injury to another person. Drunk driving: A major cause of traffic accidents, drunk driving contributes to more than 10,000 fatalities each year. This is because an individual who is drunk or using drugs has worse coordination, poorer judgment, and vision that is adversely affected. Speeding: Speeding is a leading contributor to accidents that can result in a major injury. Speed limits are carefully calculated to ensure that drivers will not be going faster than is safe. When a motorist is speeding, it increases the danger because he or she cannot react quickly in an emergency situation to avoid striking a motorcyclist, and the vehicle is more apt to go out of control. Fatigued driving: It has been shown in studies and surveys that fatigued driving is common. A high number of individuals admit that they have fallen asleep while behind the wheel of a car. Those who have medical problems such as sleep apnea, perform shift work or just don’t get enough rest the night before are most likely to nod off. I’ve Been Injured in a Motorcycle Accident. What Should I Do First? 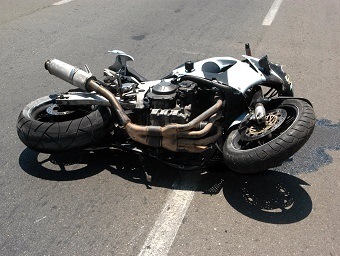 An experienced motorcycle accident lawyer may be able to help an injured rider obtain needed compensation. 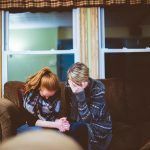 This can cover medical bills, lost wages and the other expenses that are incurred, including the pain and suffering that went along with the injury. By compiling all the evidence, including interviewing witnesses and available video where possible, employing expert witnesses and crash reconstruction experts, a strong case for compensation can be built. I’m Ed Smith, a Sacramento motorcycle accident lawyer. There are always dangers to motorcycle riders on the road but particularly so when traveling at higher speeds such as on a freeway. 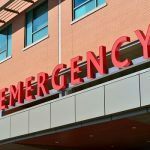 If you or someone you care about suffered an injury in a collision with a motor vehicle, you may be able to obtain compensation to pay for medical bills and other expenses caused by the crash. Please give me a call at (916) 921-6400 in the Sacramento area, or reach me at (800) 404-5400 from other areas in Northern California. An online contact form at AutoAccident.com, the website I own and founded, is also available for your use. As a Million Dollar Advocates Forum member, I join other experienced trial attorneys who have won a case settlement or verdict for a client of more than $1 million. I have been honored to have worked as a personal injury lawyer for 36 years, helping to obtain fair compensation for clients in all types of car accident cases, wrongful deaths, and traumas such as brain injuries.